This month we have new lists of invoice finance companies that we have published on our site. We also have a guest article, from Andy Pear of BM Advisory, about pre-packs, and special features for both construction and recruitment sector businesses. On our site you can view all our latest business finance offers and discounts. 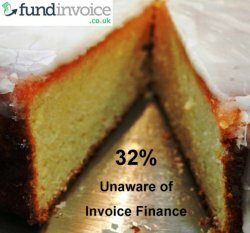 As awareness of crowdfunding surges, thanks in part to it featuring on a recent episode of The Apprentice, our research found that almost 1 in 3 eligible businesses still haven't even heard of invoice finance. Update On The "Pre-Pack Pool"
Fundinvoice have been able to help many recruitment sector businesses that have had funding restrictions against RPO customers. This construction sector startup was projecting £500K turnover for the year, but was using JCT contracts, which can be difficult to fund.